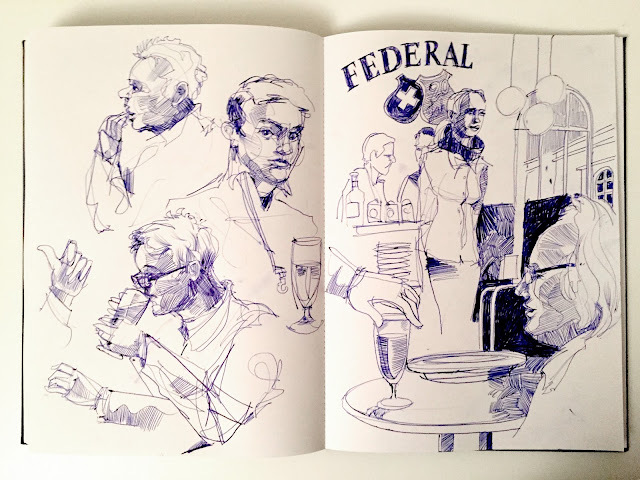 Sketching waiting for late night dinner yesterday @brasseriefederal HB Zürich. I had no pen - so I asked the waitress and she offered me her ballpointpen. ***Happy new year* and ***happy sketching*** in 2018! die kugelschreiberlinien gefallen mir ganz gut!